Richard Schultz for Knoll 1966 Collection long dining table with 6 dining arm chairs. 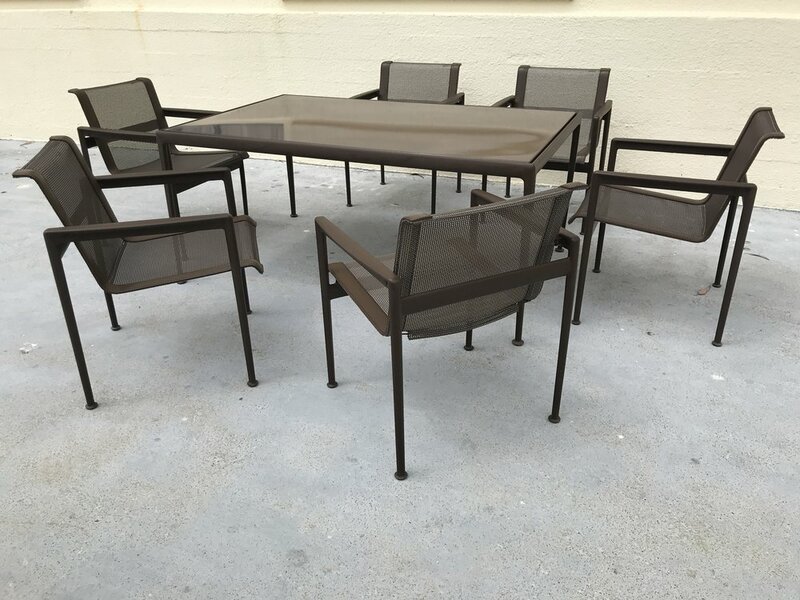 Frames are welded cast and extruded aluminum finished in weather resistant polyester powder coat. Tabletop is porcelain enamel on steel. Chair seats and backs are woven vinyl coated polyester mesh. All are done in a brown finish. 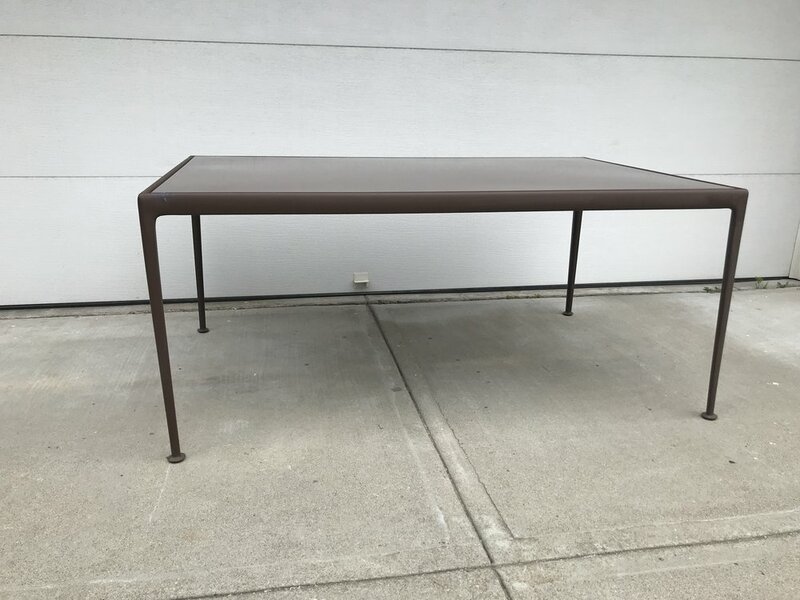 Table measures 60 x 38 inches and is 28" high. Chairs measure 23" wide, 24" deep, 31" high at top of backrest, 18" high at seat, 25" high at arm rest. All the chairs are in excellent condition with minor scuffs due to age and wear. 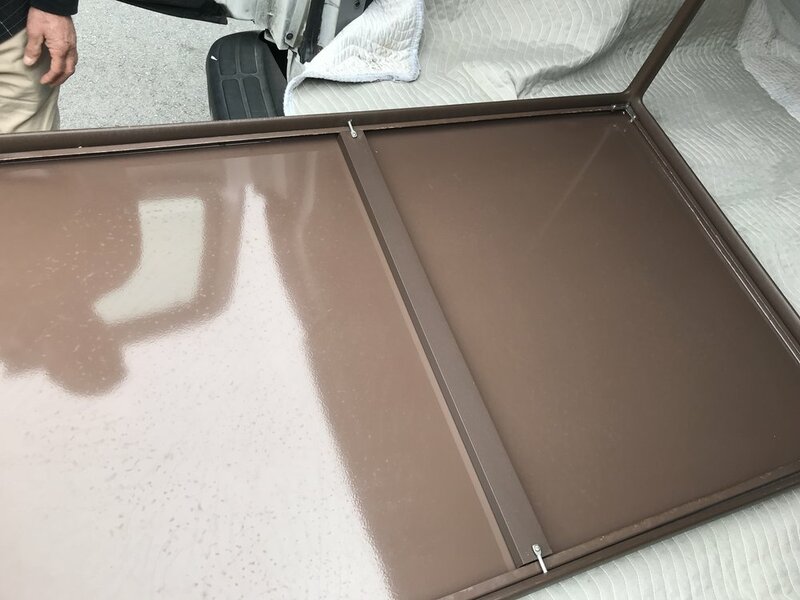 The table is in excellent condition with an abrasion to the finish near one corner(see picture), and some wear to the top. 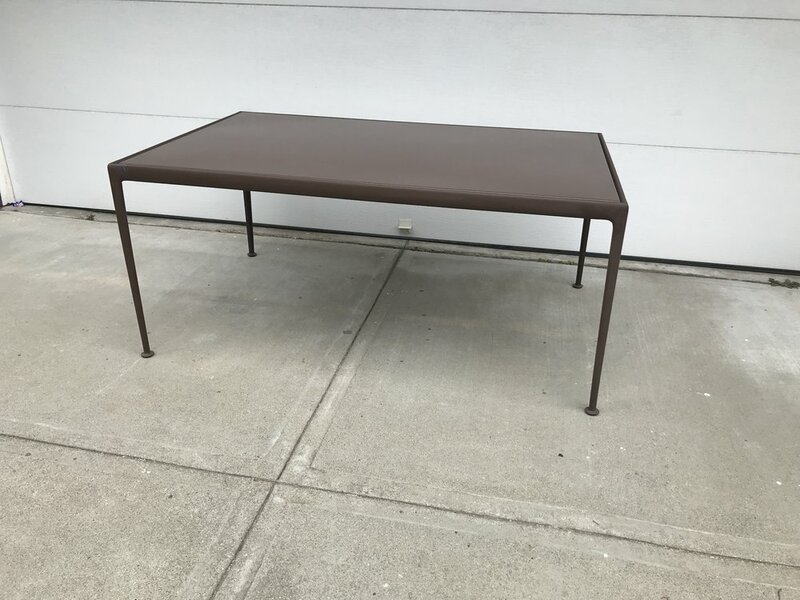 Table: 60" X 38" X 28"